Lorraine Genao is proud of her new car. She bought the 2015 Volkswagen Passat just weeks ago and is careful to lock the doors when she goes in to her Biscayne Park home for the night. But one morning recently, she opened her car and got a surprise. “When I got in, all of a sudden I realized it looked funny,” Genao said. “The glove compartment was open, the armrest door was open." She said there was no forced entry into the car. She said nothing was taken but she called police to report it had been broken into. 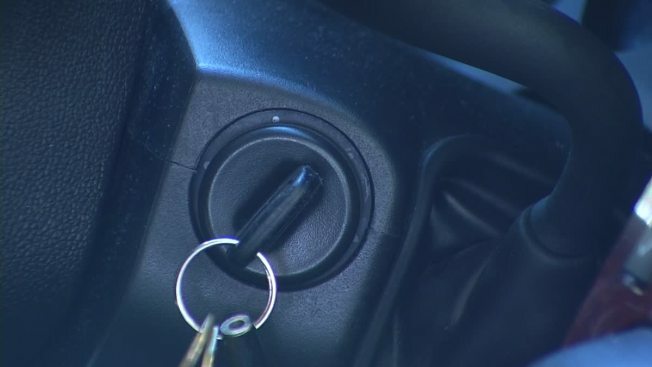 Genao now believes the keyless entry remote for her car is how someone got in. Cecil Ybanez took action when he read posts on social media about similar car break-ins happening in El Portal. “There were posts about them having locked their cars but police thinking they didn’t lock their cars,” Ybanez said. He then read about how cheap devices can extend the range of key fobs to allow people to break into the cars. Devices are sold online that can either intercept the key fob’s signal or extend it with a power amplifier. That’s why Ybanez now puts his keys each night in a metal canister by his front door. He found his key fob wouldn’t allow the door to be opened when shut inside the jar. There is also protection you can buy online called a Faraday sleeve that will do the same thing to block the signal. Those cost between $10 and $30.